As much as I would like embrace the beauty of autumn with its colorful foliage and bright, clear days, I can never seem to ignore the melancholy chord that this season strikes in my soul and the bittersweet taste of joy diluted by sorrow. This year I might have made it through, gliding into the season on the wings of anticipated good times with family and friends. But this fall, reminders of losses endured in autumns past and others yet to come were intensified by the widely reported deaths of national figures, most notably, Senator John McCain at the end of August and by more revelations of abuse in the church I love. The senator’s death had been anticipated for more than a year, ever since we learned that he had been diagnosed with the same kind of brain cancer that took the life of Ted Kennedy in 2009 and Beau Biden, the son of Vice President Joe Biden, in 2015. 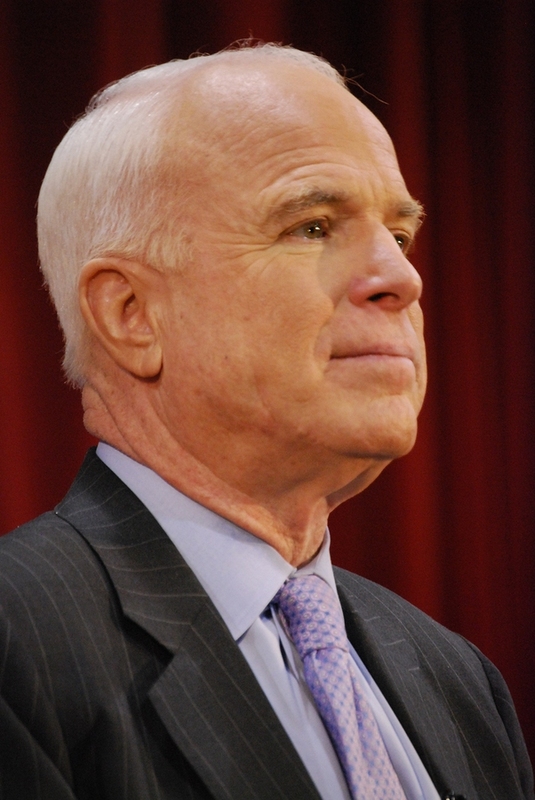 McCain was well-known as a former Vietnam prisoner of war who endured torture and five and a half years of captivity before returning home to continue his service to his country, first as a United States Congressman, and then as a senator. As the Republican Party’s presidential candidate in 2008, he was the model of civility and respect. He engaged his opponent, Barack Obama, around the issues facing the country, never stooping to the kind of name calling and personal attacks that have become the defining theme of the communication issuing daily from the White House. Watching the televised coverage of McCain’s funeral, I was reminded of something I have been writing about since I began this column 25 years ago, and that is Erik Erikson’s idea of integrity, the crown of a life well lived with all of its faults and blemishes, redeemed nonetheless by a sense of wholeness at the end. Like the beauty of autumn in New England, the beauty of a life marked by integrity carries with it the shadow of the absence we feel at its passing. And when that life is lived on a national stage, making a visible imprint on the way we conduct the affairs of government and modeling what it means to be a decent human being, then we are left with a hole in our hearts and a gap in the ranks of our heroes. Part of Erikson’s genius was to link the developmental achievements of the maturing person with societal structures that support their establishment. The formation of identity in our adolescent years, Erikson tells us, resonates with the ideological outlook of society, supplying the social values that define the good to be sought and the evil to be avoided. Young people must somehow come to believe, in Erikson’s words, that “the best people will come to rule and rule develops the best in people.” The passing of Senator McCain is the loss of a decent human being, but, more than that, it represents the loss of model of how decency is enacted at our highest levels of government and public life. When death calls us to the ultimate questions, some of us look to faith for the answers. With more revelations of sexual abuse and cover-up in the church of my faith, another kind of death threatens, a death not of faith, but of trust. These revelations are not new, but they keep coming, and with each new disclosure, Catholics are horrified at the extent of the corruption and the damage their church has done to the people, especially the children, it was meant to guide and protect. Catholics are just beginning to realize how prevalent those occasions have been and to demand long-overdue changes in the way their church operates. This is not to say that all religions or all the clergy have betrayed the trust of their people; most have not. My own life in the Catholic church has been enriched immeasurably by good men and women of deep faith, intelligence, and compassion who endure their own form of hurt and betrayal from the shameful actions of some of their peers and superiors. This fall, the glory of nature is muted by the awareness that two of the key institutions built by and designed to protect our communal strivings are failing us. Government and religion both seem no longer able to hold our ideals or merit our trust. Yet decency and respect for our shared humanity are bigger than government, and government is bigger than the custodians we elect to carry out its functions. In a similar way, faith is more than religion, and religion, more than its flawed ministers. Now more than ever, the words of Ghandi urge us to be the change we want to see in the world and to do our part to ensure that our institutions merit our trust and embody our highest ideals. With all of its foreshadowing of death and decay, the fall foliage is still beautiful. And we embrace the season because we need beauty even as we need a reminder that it will not last forever and that the time to act is now.